Spring is here!!! We are offering a free comprehensive vehicle inspection with any other service. Reserve an Appointment today! Will never go anywhere else. Friendly and knowledgable staff. I've been coming to Lancers for several years now and have always been taken care of. They make solid recommendations for impending service requirements but are never pushy. One thing I particularly like is that the front office workers are in the same room as the waiting room- meaning if I have questions or concerns they're right there to talk to. You guys did an amazing job! After the repair my S4 feels like a new car. I've been to many shops with many cars but I got never a better service than with you. You are detailed, can explain everything that even I understand it and the time it took you to do all of this was outstanding. Thanks again! You made my day! These guys were awesome! On my way to a business meeting when I realized the hood of my car wasn't latching--they hurried out and fixed it within a matter of minutes and didn't even charge me. I'll definitely be back! Lancer Service Auto Care of St. Paul, MN has been providing over 30 years of dedicated auto repair quality and service for all types of domestic and imported vehicles. Our experience, factory trained technicians and up-to-date equipment will save you time and money. Our goal is simple, we continually provide the community and every customer with the very best service for their auto care needs. Your vehicle requires more than replacing fluids and changing parts. 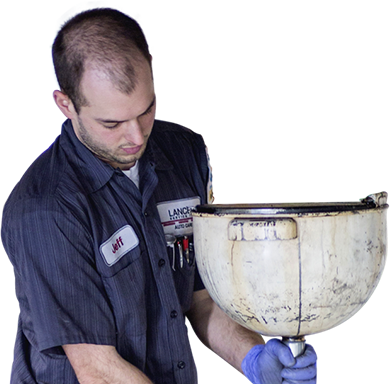 During your visit to Lancer Service, a certified technician will perform a thorough inspection on your vehicle and will note any preventative maintenance or repair needs. Our friendly service advisers take this information and will inform you on your vehicle's current state of health. From there we will work with you to make auto repair / maintenance decisions that make the most sense for you and your vehicle's future.